The Shop within The Sill: National Landscape Discovery Centre on Hadrian’s Wall is proving popular with visitors to Northumberland and providing a valuable window for local crafters and food producers to display their talents. 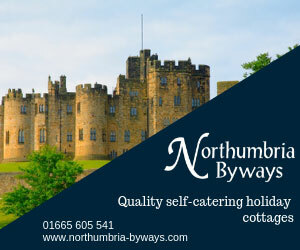 With visitor numbers to The Sill topping 170,000 in its first year, Northumberland National Park Authority is supporting a variety of independent and small rural businesses by providing a unique showcase of local arts, crafts, fine foods, drink and handmade goods under one roof. Many of which cannot be found on the traditional high street. 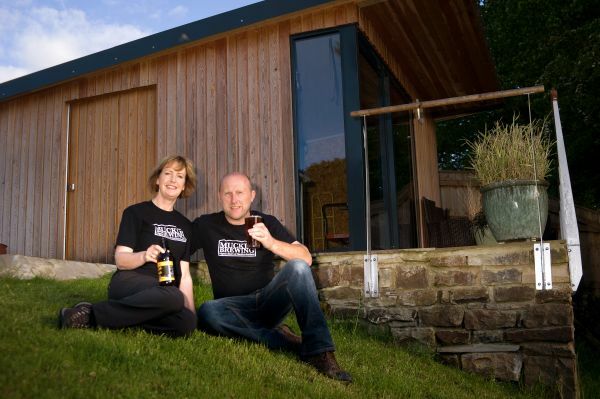 Craft brewers Nicola and Tom Smith, the team behind Haltwhistle-based Muckle Brewing, have been featured in The Sill since it opened to the public in July 2017. Nicola said: “Muckle Brewing is delighted to supply The Sill with artisan real ales brewed in our tiny garden brewery just outside Haltwhistle. “Since our first delivery to The Sill Shop in preparation for its opening day, we have expanded our range of ales and redesigned our gift boxes to continue to market the wild and wonderful location surrounding us. Rosie Thomas, Business Development Director at Northumberland National Park Authority, explains: “The Sill is a showcase of local pride and passion and The Sill Shop reflects this. Over 85% of the goods we sell are sourced within the region from a range of both established and up and coming artists, crafters and suppliers. “Through the shop we aim to support local businesses and share the fantastic talent and produce which makes Northumberland and the wider region such a unique place to visit and explore. Northumberland National Park Authority has also been working to introduce more people to some of the county’s best-loved artisan food and beverage producers through its ‘Meet the Maker’ event programme. Hosted at The Sill, the sessions aim to bring visitors and suppliers together to hear first-hand how local producers create their goods and the inspiration behind them. Recent events have featured Doddington Dairy, Hepple Gin and Lindisfarne Mead. The Sill is also hosting a festive two-day showcase of local talent at its Christmas Fair on the 17th and 18th of November. Open from 10am to 4pm both days, visitors can meet the makers and enjoy a variety of stalls offering unique gifts from local traders along with festive food, music, crafts and more. The Sill is the UK’s first dedicated National Landscape Discovery Centre and the result of a pioneering partnership between Northumberland National Park Authority, YHA (England and Wales), and funded by the Heritage Lottery Fund (HLF) through a £7.8 million grant made possible by National Lottery players. In September Northumberland National Park Authority welcomed The Prince of Wales on a special visit to commemorate its official opening. Through The Sill, Northumberland National Park Authority is working with schools, community organisations and businesses to provide educational workshops, activities and other experiential opportunities connected to the landscape, which are designed to suit all ages and abilities throughout the Park.